Its good to have heroes! In contemporary culture they are often elevated to super-beings. My photographic heroes are of the old school. They’re people to look up to, people who represent thought and development in photography. So here are three photographers who I admire. They have all been influential in my thinking and development as a photographer. 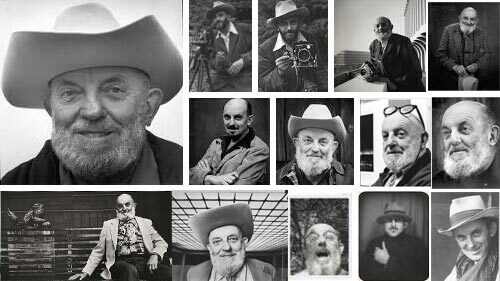 In part one of this short series I briefly cover Ansel Adams. I hope you will find his example inspirational as I do. I admire thinking photographers. Adams was definitely a thinker. He is widely quoted both in photographic circles and outside them – his ideas span music, conservation, photography and many other subjects. As a conservationist he was one of the early protectors of the environment and as a photographer he produced some of the most iconic photographs of the national parks in the USA. In particular Adams brilliant photographs of Yosemite National Park in America captured the imagination of a generation. Adams first went there when he was sixteen and returned to photograph the magnificent scenery on many occasions throughout his sixty year career. He also captured, in fantastic tonal detail, many other of the amazing wilderness locations in the USA. All of this was before these places were subject to the stresses and damage caused by tourism. While photography was what he was mainly known for, he was only a practising hobbyist until well into his twenties. He intended to be a professional musician and worked hard at it from the time he taught himself the piano aged twelve. His schooling was limited but his concentration on music and photography proved sufficient to sharpen his intellect. He possessed an eidetic memory (or photographic memory) and and this could only have enhanced his excellent understanding of tonal control and landscape structure in his compositions. Adams is best known for his black and white landscapes, but also produced the first presidential portrait photograph and worked with colour photography. He developed the Zone system in photography – a method of optimal exposure control for photographers. He taught a number of student photographers who went on to become influential themselves. He also developed a number of important photographic and compositional techniques. As a writer and photographer he published a number of books about photography and of his own pictures as well as work about his photographic discoveries. Adams legacy lies not only in his superb landscape work, but in his tireless work to elevate photography to a true art-form. In his later years he worked with galleries and institutions worldwide to promote and develop photography. He will be remembered mostly for his pictures. But in fact he influenced a generation of photographers and several generations of the public by the work that he did in conservation and art development. Later in his career he was honoured with both photographic and general honours including the highest civilian honour in the USA. He published a number of books and worked with photographers, politicians, academics and publishers to build a better understanding of photography as a public domain. He should be remembered not just for his amazing photographs, but also for establishing photography as a form of public expression and passion. He was a remarkable man who will live on through his pictures. Two new definitions have been published. The new definitions are compositional elements of the picture. They will help an understand of the way to use space. These definitions are complementary to each other in a photograph. They are Negative Space, and Positive space. Read the definition for Negative Space. Read the definition for Positive Space. When you read a book, you learn things. However, practical application is different to book knowledge. I am reminded of a great line in a film, “…there’s a difference between knowing the path, and walking the path” (Morphus – ‘The Matrix’). In Collins Complete Photography Course you get to “walk the path”. Actually doing photography is what teaches us to move forward. This book is about taking our inspiration, our passion, and developing our skills through project-based photographic work. Its about getting involved; getting inspired. Learning through projects. This is a project based way to take the important steps that lead you to get control of your camera, get control of your ideas, get control of your confidence. Step by step the book takes you through the things you need to master photography. By inspiring you to undertake projects it helps you to get an insight into one interesting aspect of photography at a time – learning from inside the experience. It is a great book to grab your enthusiasm and to express your art… while learning. “This is a really instructive book…” By Mrs. C. Leigh.